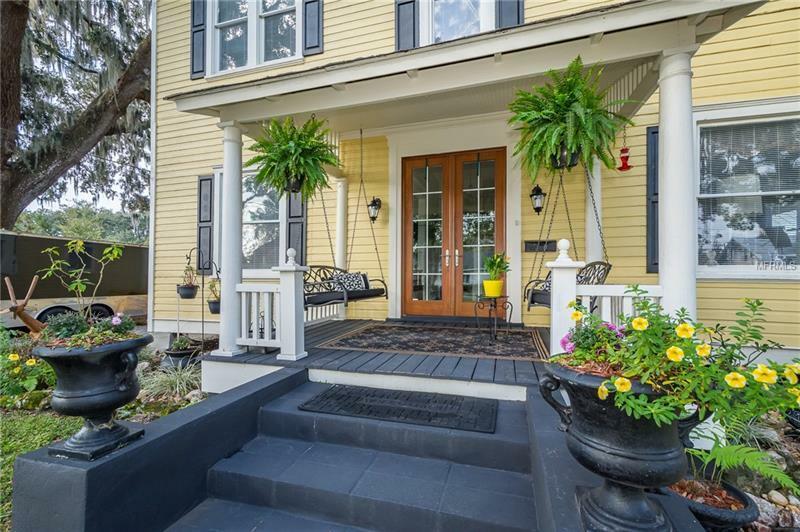 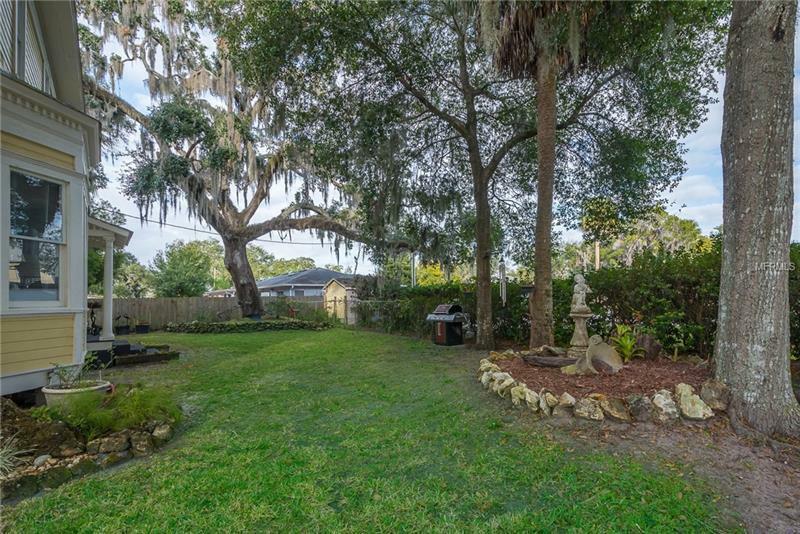 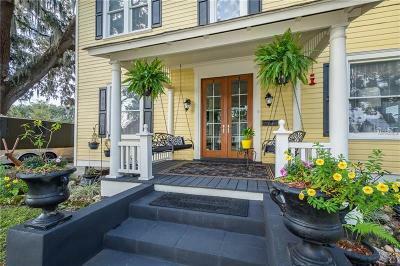 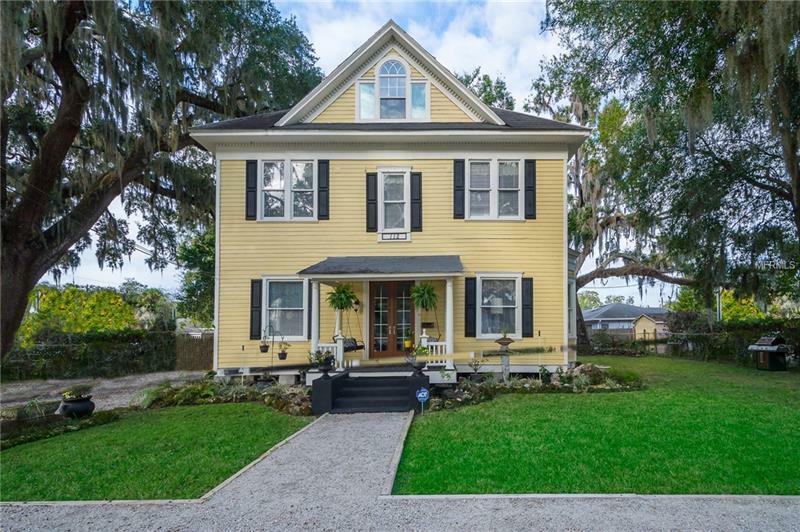 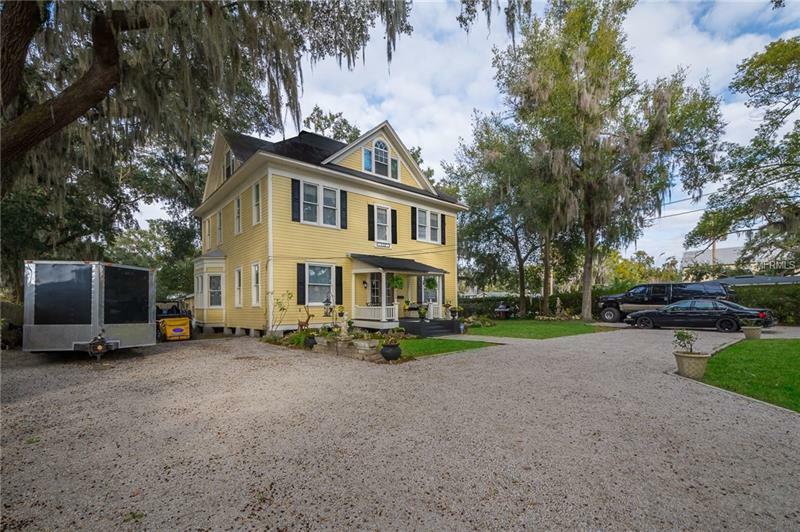 Historic beauty built in 1910 that has gorgeous upgrades while keeping the historic character of this stately home. 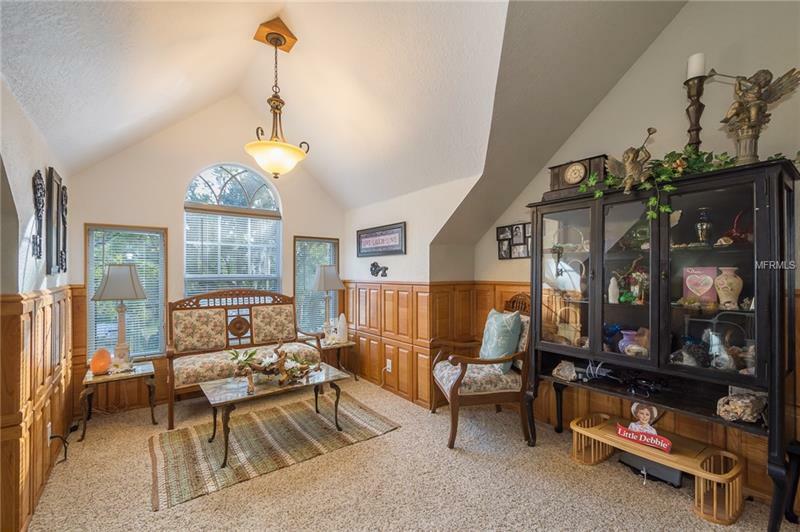 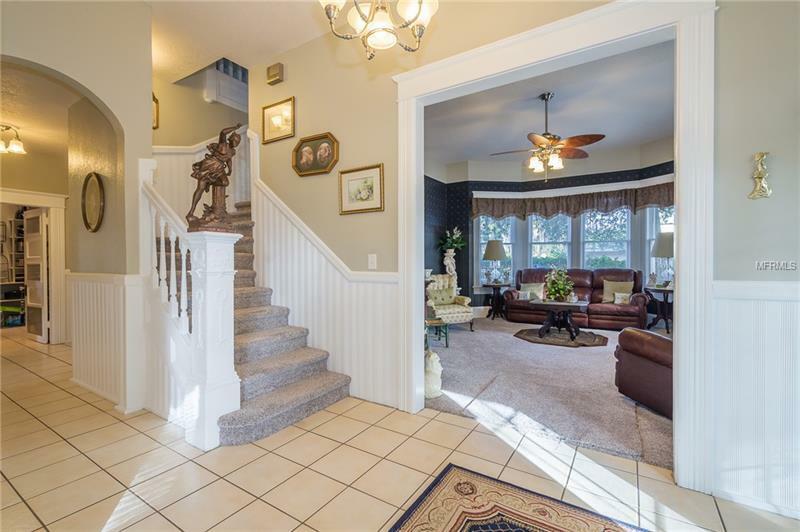 Enter the foyer with 11 foot ceilings throughout. 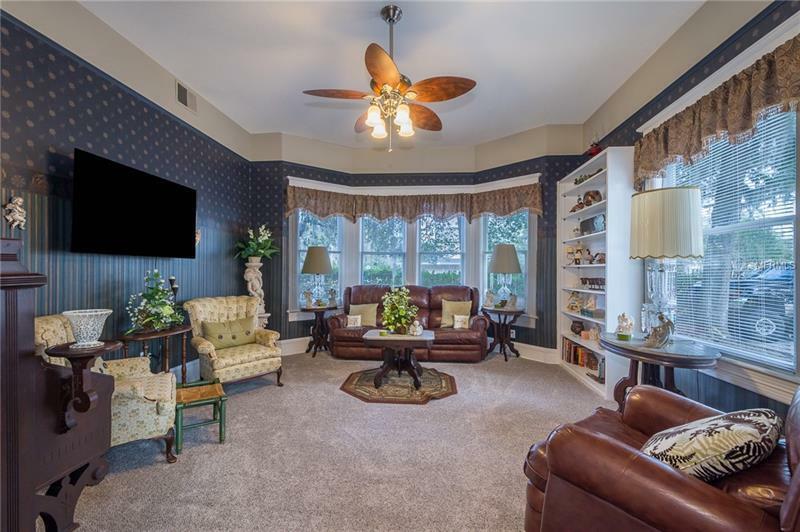 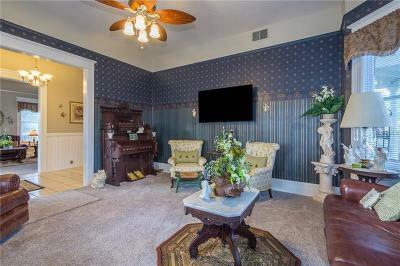 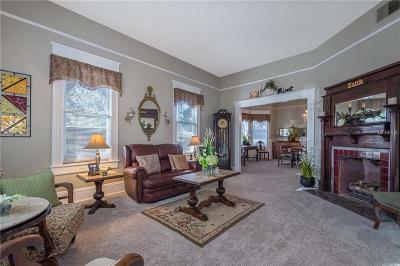 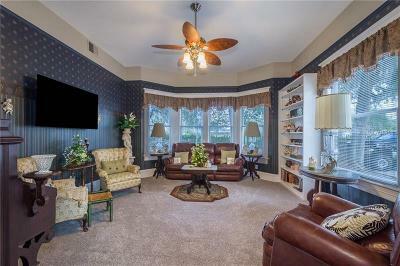 Formal living room has picture rails & beautiful period gas fireplace. 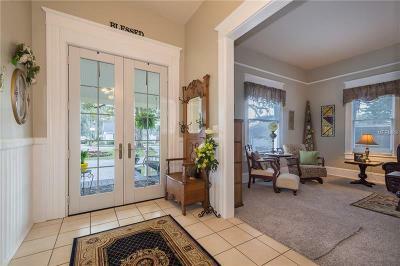 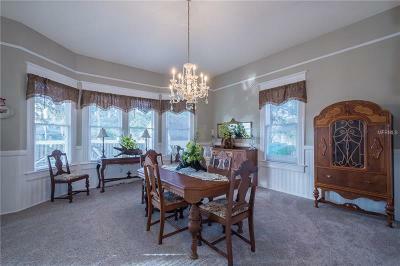 Formal Dining room has a large bay window, picture railing & elegant chandelier. 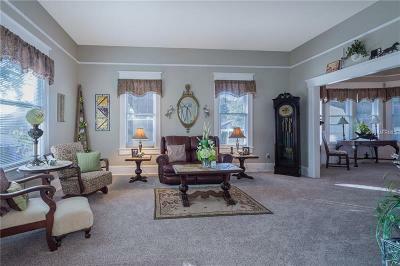 Library/office also has large bay windows & picture rails. 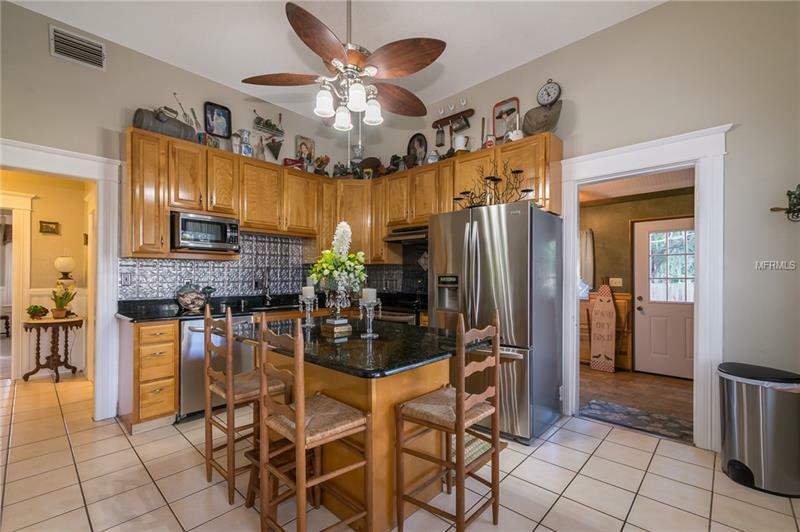 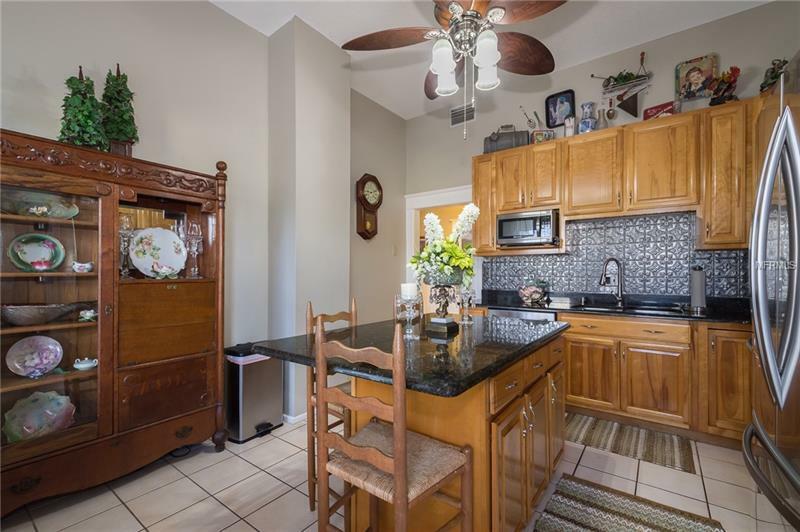 Kitchen has been totally remodeled with maple cabinets, granite countertops, stainless steel appliances & an island with seating. 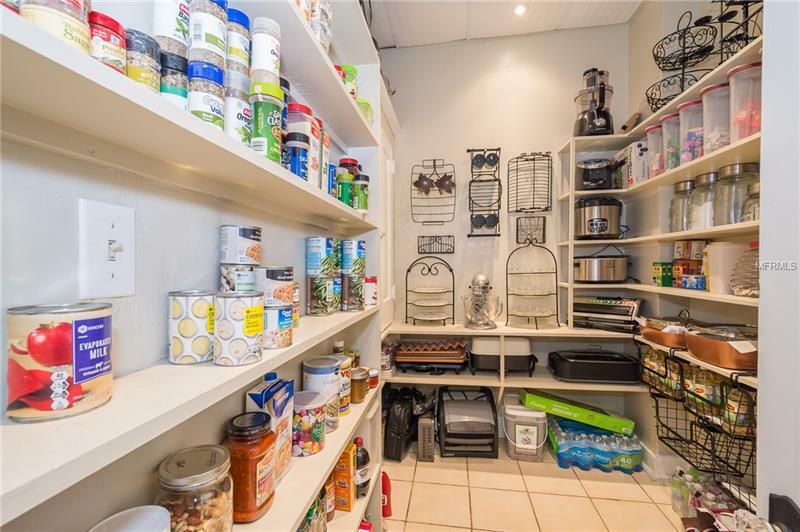 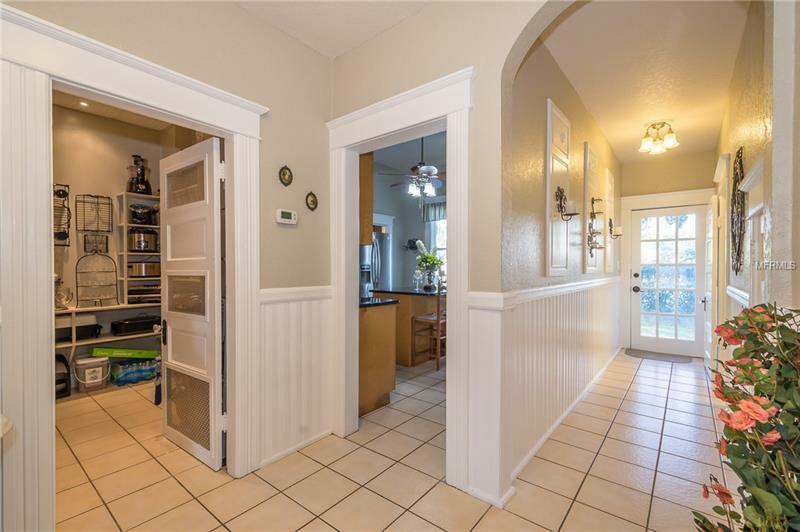 Large walk-in pantry is right off the kitchen with lots of shelving. 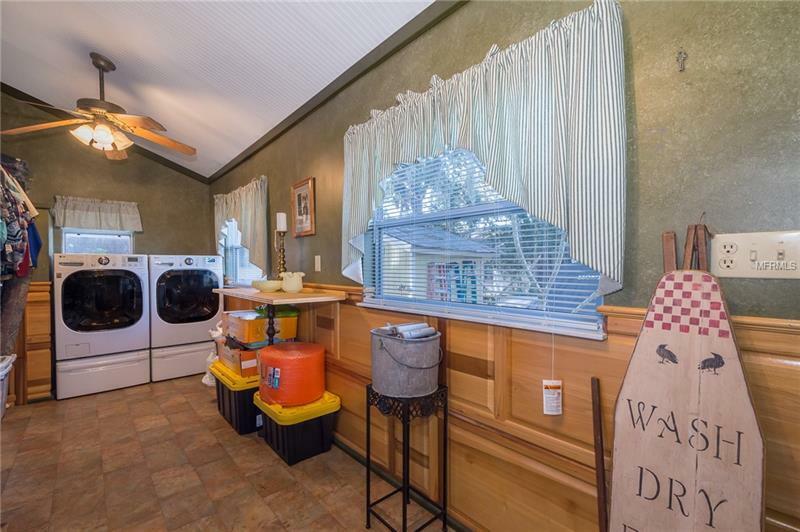 Huge interior laundry room. 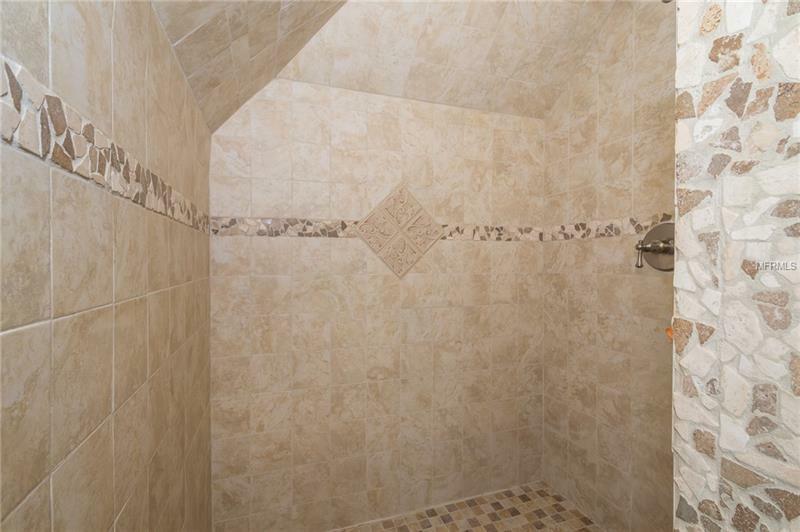 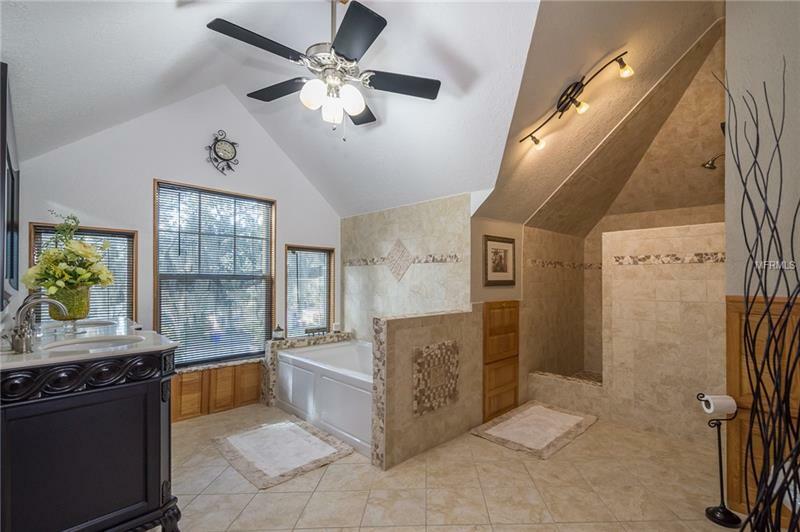 Full bath with shower also located on the first floor. 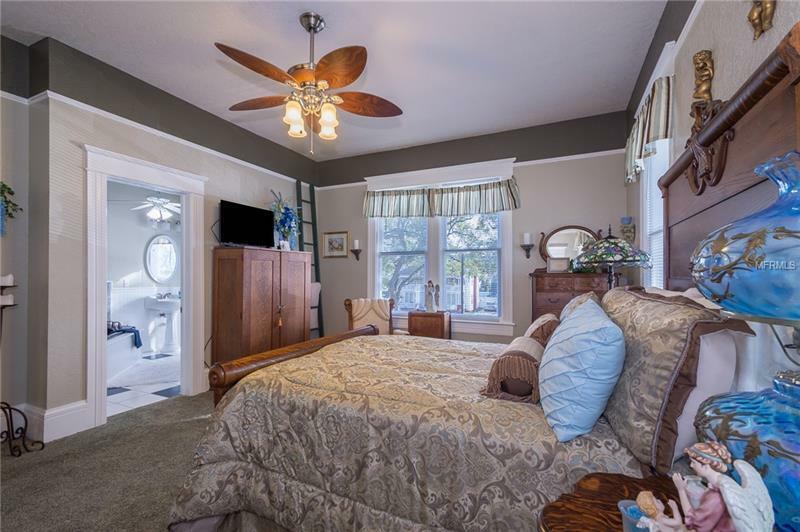 Second floor has a master bedroom with en-suite. 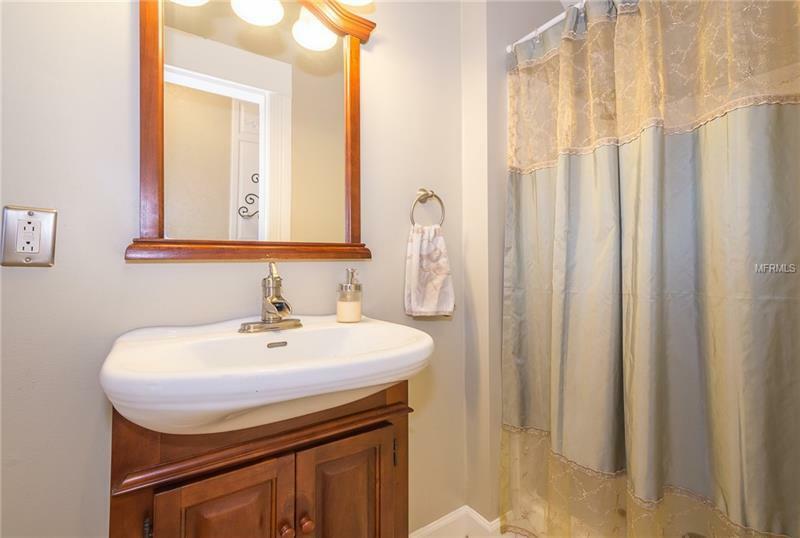 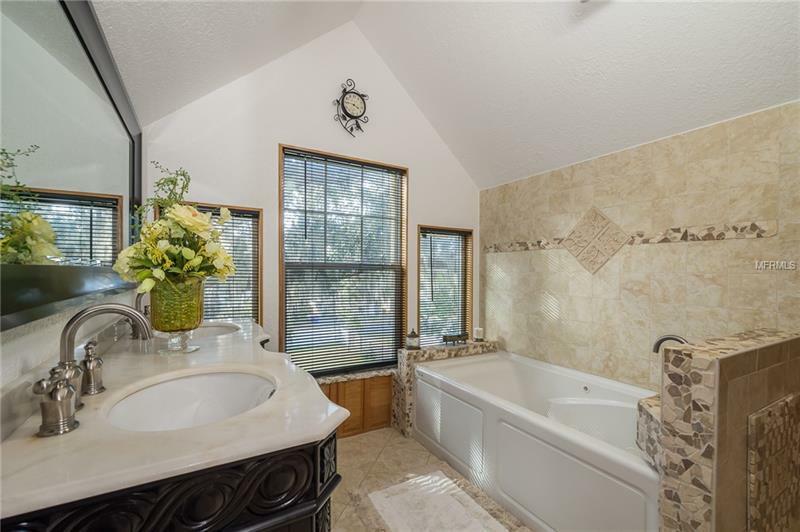 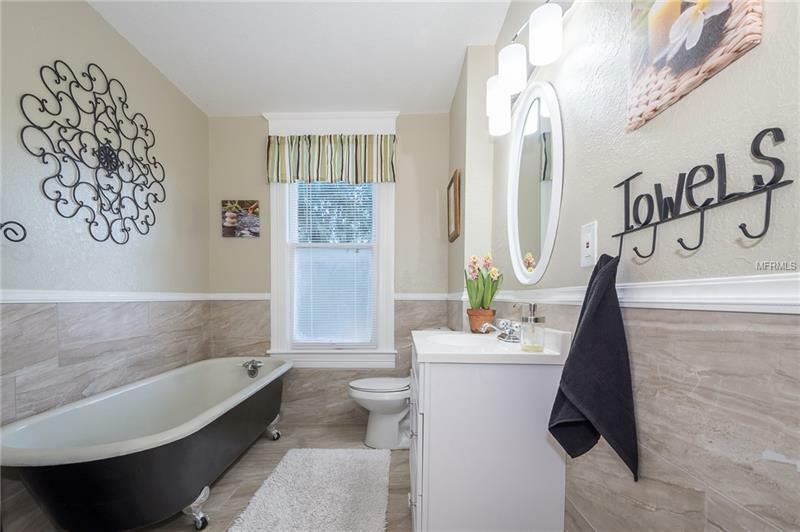 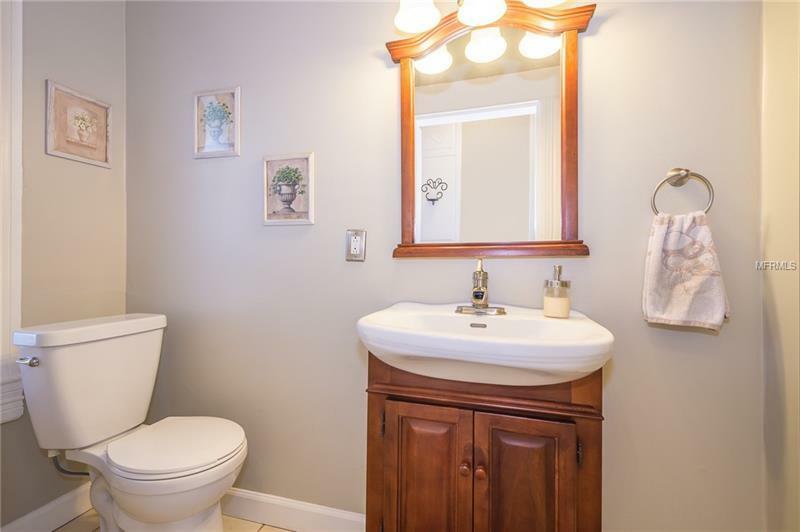 This bathroom has jetted tub with custom neutral tile. 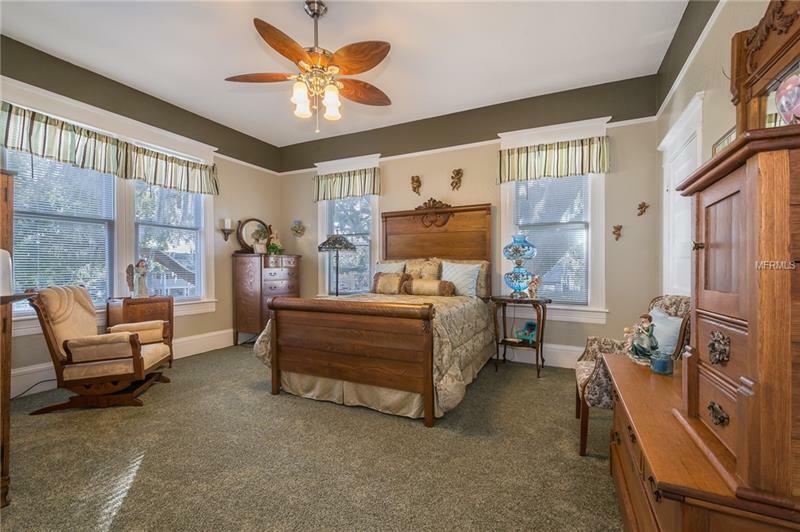 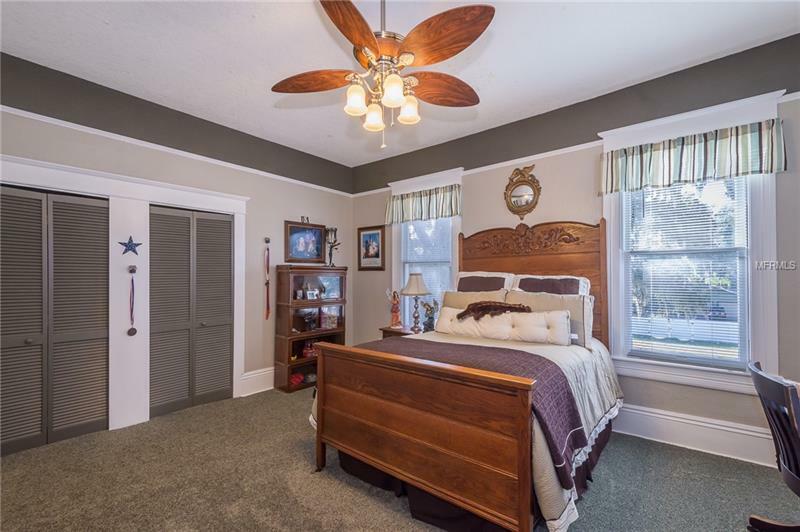 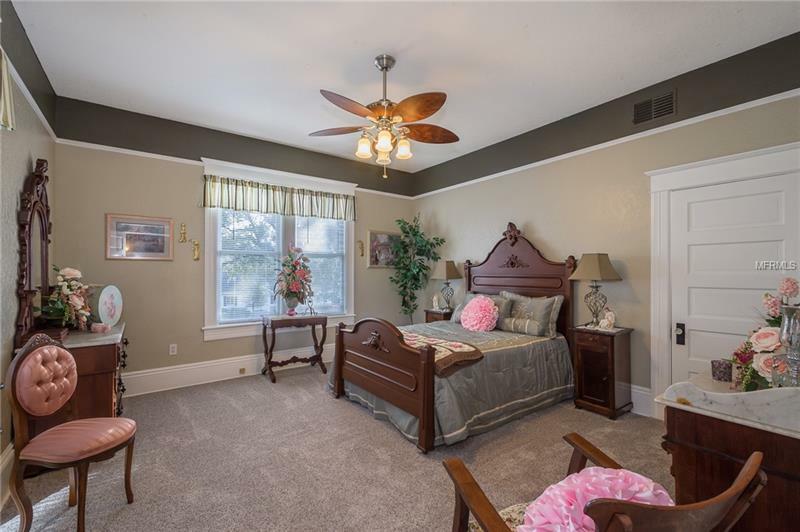 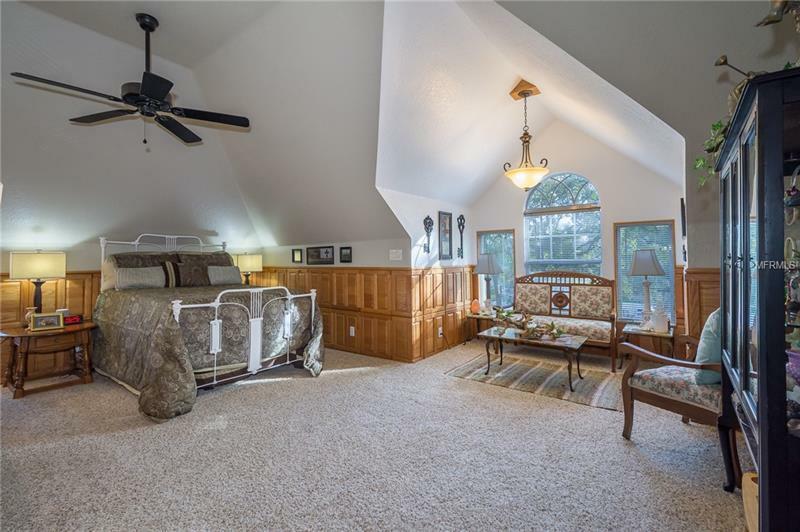 There are three additional large bedrooms on this floor. 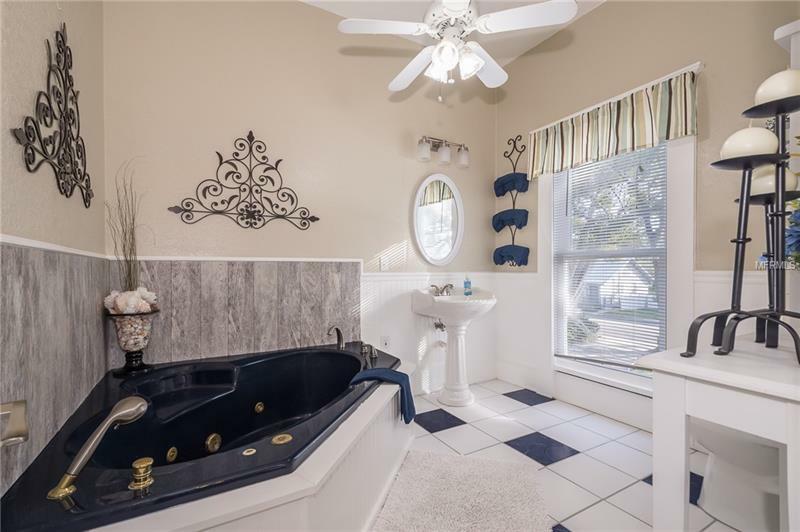 The guest bath has claw foot tub & beautiful tiles on the walls. 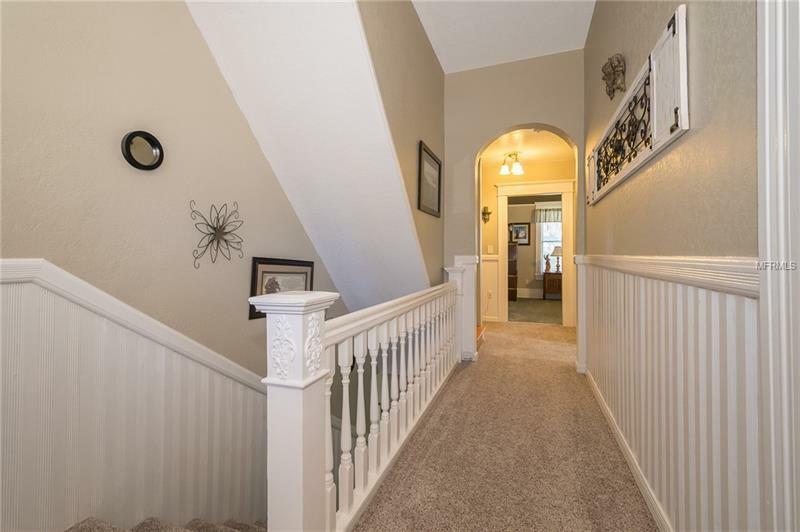 Stairs then lead you to the third floor suite that has been totally renovated. 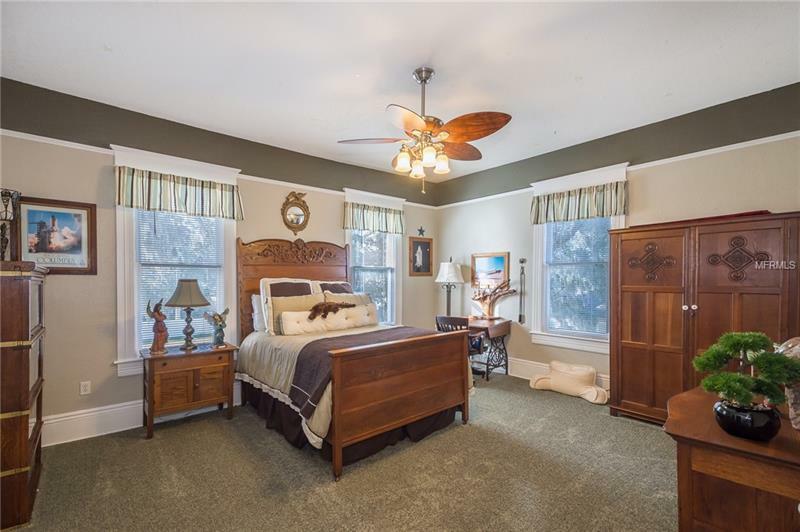 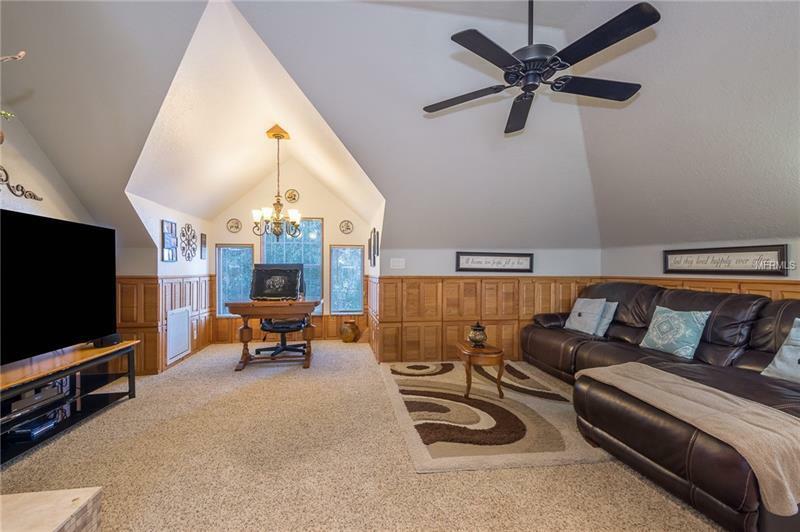 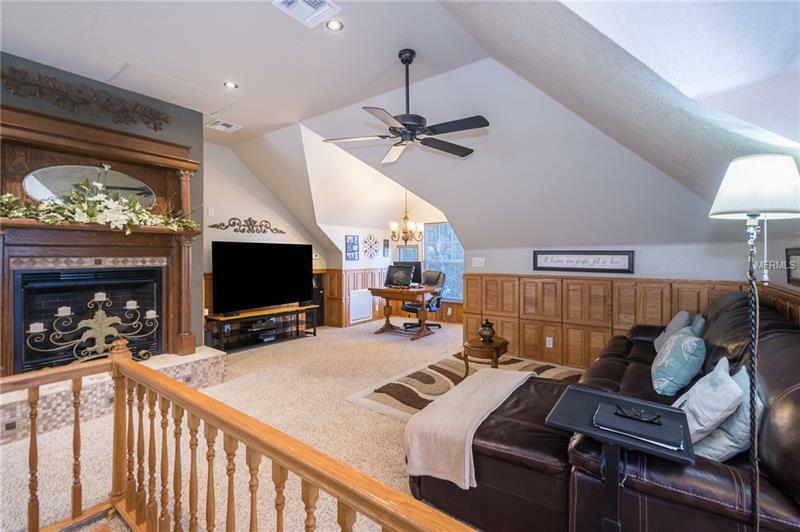 This suite is the entire third floor & has a bedroom area, living area, office/eating area, fireplace & huge bathroom with double sinks, tub & large custom shower. This area has its own air conditioner & tankless hot water heater. 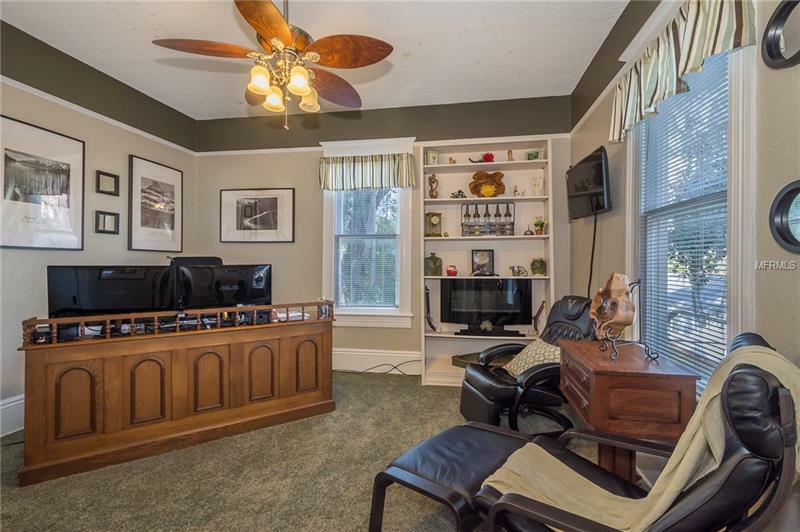 There is also storage in every corner of the third floor suite area with medium oak wainscoting. 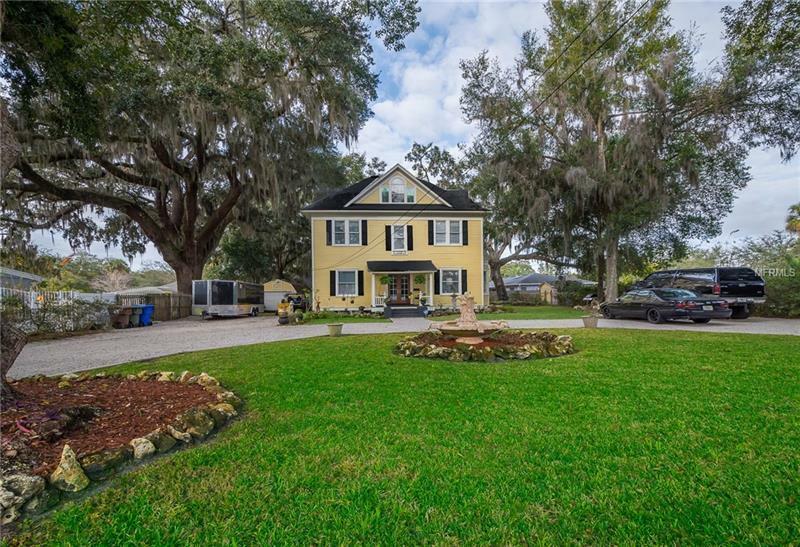 A circular driveway & fountain grace the front entrance while there are two large sheds for storage in the rear. 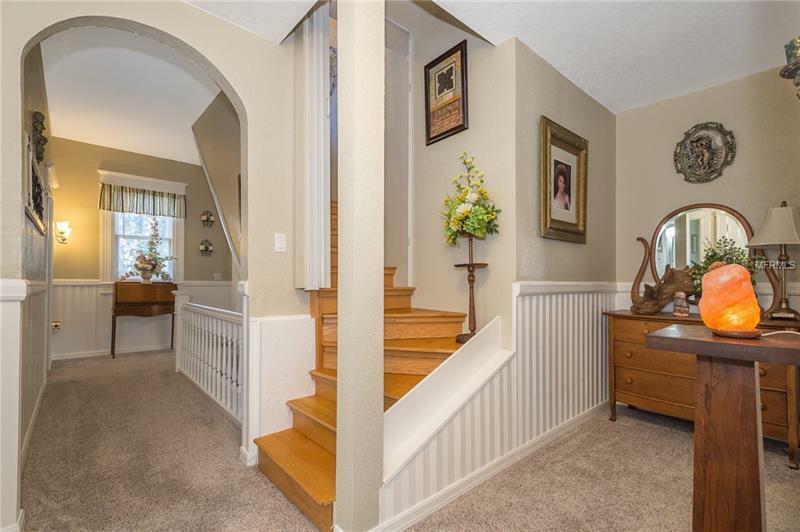 This home has been lovingly cared for & upgraded & it definitely shows! 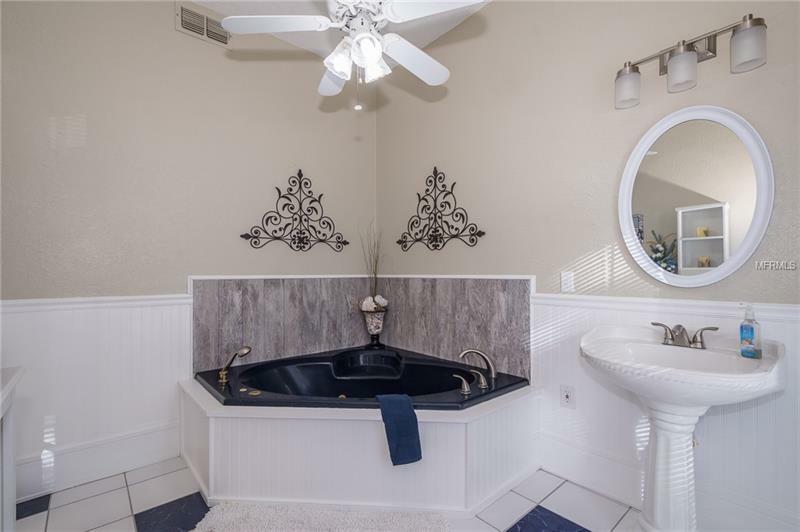 Make your appointment to see this beauty today.